See also Microhabitat (film), Breeding Ground (band), or Habitat (disambiguation). This coral reef in the Phoenix Islands Protected Area is a rich habitat for sea life. Few creatures make the ice shelves of Antarctica their habitat. In ecology, a habitat is the type of natural environment in which a particular species of organism lives. It is characterized by both physical and biological features. A species' habitat is those places where it can find food, shelter, protection and mates for reproduction. The physical factors are for example soil, moisture, range of temperature, and light intensity as well as biotic factors such as the availability of food and the presence or absence of predators. Every organism has certain habitat needs for the conditions in which it will thrive, but some are tolerant of wide variations while others are very specific in their requirements. A habitat is not necessarily a geographical area, it can be the interior of a stem, a rotten log, a rock or a clump of moss, and for a parasitic organism it is the body of its host, part of the host's body such as the digestive tract, or a single cell within the host's body. Habitat types include polar, temperate, subtropical and tropical. The terrestrial vegetation type may be forest, steppe, grassland, semi-arid or desert. Fresh water habitats include marshes, streams, rivers, lakes, and ponds, and marine habitats include salt marshes, the coast, the intertidal zone, estuaries, reefs, bays, the open sea, the sea bed, deep water and submarine vents. Habitats change over time. This may be due to a violent event such as the eruption of a volcano, an earthquake, a tsunami, a wildfire or a change in oceanic currents; or the change may be more gradual over millennia with alterations in the climate, as ice sheets and glaciers advance and retreat, and as different weather patterns bring changes of precipitation and solar radiation. Other changes come as a direct result of human activities; deforestation, the plowing of ancient grasslands, the diversion and damming of rivers, the draining of marshland and the dredging of the seabed. The introduction of alien species can have a devastating effect on native wildlife, through increased predation, through competition for resources or through the introduction of pests and diseases to which the native species have no immunity. The word "habitat" has been in use since about 1755 and derives from the Latin habitāre, to inhabit, from habēre, to have or to hold. Habitat can be defined as the natural environment of an organism, the type of place in which it is natural for it to live and grow. It is similar in meaning to a biotope; an area of uniform environmental conditions associated with a particular community of plants and animals. The chief environmental factors affecting the distribution of living organisms are temperature, humidity, climate, soil type and light intensity, and the presence or absence of all the requirements that the organism needs to sustain it. Generally speaking, animal communities are reliant on specific types of plant communities. Some plants and animals are generalists, and their habitat requirements are met in a wide range of locations. The small white butterfly (Pieris rapae) for example is found on all the continents of the world apart from Antarctica. Its larvae feed on a wide range of Brassicas and various other plant species, and it thrives in any open location with diverse plant associations. The large blue butterfly is much more specific in its requirements; it is found only in chalk grassland areas, its larvae feed on Thymus species and because of complex lifecycle requirements it inhabits only areas in which Myrmica ants live. Disturbance is important in the creation of biodiverse habitats. In the absence of disturbance, a climax vegetation cover develops that prevents the establishment of other species. Wildflower meadows are sometimes created by conservationists but most of the flowering plants used are either annuals or biennials and disappear after a few years in the absence of patches of bare ground on which their seedlings can grow. Lightning strikes and toppled trees in tropical forests allow species richness to be maintained as pioneering species move in to fill the gaps created. Similarly coastal habitats can become dominated by kelp until the seabed is disturbed by a storm and the algae swept away, or shifting sediment exposes new areas for colonisation. Another cause of disturbance is when an area may be overwhelmed by an invasive introduced species which is not kept under control by natural enemies in its new habitat. 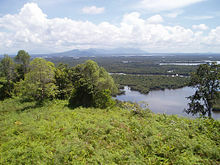 Terrestrial habitat types include forests, grasslands, wetlands and deserts. Within these broad biomes are more specific habitats with varying climate types, temperature regimes, soils, altitudes and vegetation types. Many of these habitats grade into each other and each one has its own typical communities of plants and animals. A habitat may suit a particular species well, but its presence or absence at any particular location depends to some extent on chance, on its dispersal abilities and its efficiency as a coloniser. Freshwater habitats include rivers, streams, lakes, ponds, marshes and bogs. Although some organisms are found across most of these habitats, the majority have more specific requirements. The water velocity, its temperature and oxygen saturation are important factors, but in river systems, there are fast and slow sections, pools, bayous and backwaters which provide a range of habitats. Similarly, aquatic plants can be floating, semi-submerged, submerged or grow in permanently or temporarily saturated soils besides bodies of water. Marginal plants provide important habitat for both invertebrates and vertebrates, and submerged plants provide oxygenation of the water, absorb nutrients and play a part in the reduction of pollution. Marine habitats include brackish water, estuaries, bays, the open sea, the intertidal zone, the sea bed, reefs and deep / shallow water zones. Further variations include rock pools, sand banks, mudflats, brackish lagoons, sandy and pebbly beaches, and seagrass beds, all supporting their own flora and fauna. The benthic zone or seabed provides a home for both static organisms, anchored to the substrate, and for a large range of organisms crawling on or burrowing into the surface. Some creatures float among the waves on the surface of the water, or raft on floating debris, others swim at a range of depths, including organisms in the demersal zone close to the seabed, and myriads of organisms drift with the currents and form the plankton. A desert is not the kind of habitat that favours the presence of amphibians, with their requirement for water to keep their skins moist and for the development of their young. 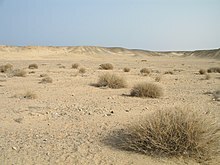 Nevertheless, some frogs live in deserts, creating moist habitats underground and hibernating while conditions are adverse. Couch's spadefoot toad (Scaphiopus couchii) emerges from its burrow when a downpour occurs and lays its eggs in the transient pools that form; the tadpoles develop with great rapidity, sometimes in as little as nine days, undergo metamorphosis, and feed voraciously before digging a burrow of their own. Other organisms cope with the drying up of their aqueous habitat in other ways. Vernal pools are ephemeral ponds that form in the rainy season and dry up afterwards. They have their specially-adapted characteristic flora, mainly consisting of annuals, the seeds of which survive the drought, but also some uniquely adapted perennials. Animals adapted to these extreme habitats also exist; fairy shrimps can lay "winter eggs" which are resistant to desiccation, sometimes being blown about with the dust, ending up in new depressions in the ground. These can survive in a dormant state for as long as fifteen years. Some killifish behave in a similar way; their eggs hatch and the juvenile fish grow with great rapidity when the conditions are right, but the whole population of fish may end up as eggs in diapause in the dried up mud that was once a pond. Many animals and plants have taken up residence in urban environments. They tend to be adaptable generalists and use the town's features to make their homes. Rats and mice have followed man around the globe, pigeons, peregrines, sparrows, swallows and house martins use the buildings for nesting, bats use roof space for roosting, foxes visit the garbage bins and squirrels, coyotes, raccoons and skunks roam the streets. About 2,000 coyotes are thought to live in and around Chicago. A survey of dwelling houses in northern European cities in the twentieth century found about 175 species of invertebrate inside them, including 53 species of beetle, 21 flies, 13 butterflies and moths, 13 mites, 9 lice, 7 bees, 5 wasps, 5 cockroaches, 5 spiders, 4 ants and a number of other groups. In warmer climates, termites are serious pests in the urban habitat; 183 species are known to affect buildings and 83 species cause serious structural damage. A microhabitat is the small-scale physical requirements of a particular organism or population. Every habitat includes large numbers of microhabitats with subtly different exposure to light, humidity, temperature, air movement, and other factors. The lichens that grow on the north face of a boulder are different to those that grow on the south face, from those on the level top and those that grow on the ground nearby; the lichens growing in the grooves and on the raised surfaces are different from those growing on the veins of quartz. Lurking among these miniature "forests" are the microfauna, each species of invertebrate with its own specific habitat requirements. There are numerous different microhabitats in a wood; coniferous forest, broad-leafed forest, open woodland, scattered trees, woodland verges, clearings and glades; tree trunk, branch, twig, bud, leaf, flower and fruit; rough bark, smooth bark, damaged bark, rotten wood, hollow, groove and hole; canopy, shrub layer, plant layer, leaf litter and soil; buttress root, stump, fallen log, stem base, grass tussock, fungus, fern and moss. The greater the structural diversity in the wood, the greater the number of microhabitats that will be present. A range of tree species with individual specimens of varying sizes and ages, and a range of features such as streams, level areas, slopes, tracks, clearings and felled areas will provide suitable conditions for an enormous number of biodiverse plants and animals. For example, in Britain it has been estimated that various types of rotting wood are home to over 1700 species of invertebrate. For a parasitic organism, its habitat is the particular part of the outside or inside of its host on or in which it is adapted to live. The life cycle of some parasites involves several different host species, as well as free-living life stages, sometimes providing vastly different microhabitats. One such organism is the trematode (flatworm) Microphallus turgidus, present in brackish water marshes in the southeastern United States. Its first intermediate host is a snail and the second, a glass shrimp. The final host is the waterfowl or mammal that consumes the shrimp. Although the vast majority of life on Earth lives in mesophyllic (moderate) environments, a few organisms, most of them microbes, have managed to colonise extreme environments that are unsuitable for most higher life forms. There are bacteria, for example, living in Lake Whillans, half a mile below the ice of Antarctica; in the absence of sunlight, they must rely on organic material from elsewhere, perhaps decaying matter from glacier melt water or minerals from the underlying rock. Other bacteria can be found in abundance in the Mariana Trench, the deepest place in the ocean and on Earth; marine snow drifts down from the surface layers of the sea and accumulates in this undersea valley, providing nourishment for an extensive community of bacteria. Other microbes live in habitats lacking in oxygen, and are dependent on chemical reactions other than photosynthesis. Boreholes drilled 300 m (1,000 ft) into the rocky seabed have found microbial communities apparently based on the products of reactions between water and the constituents of rocks. These communities have been little studied, but may be an important part of the global carbon cycle. Rock in mines two miles deep also harbour microbes; these live on minute traces of hydrogen produced in slow oxidizing reactions inside the rock. These metabolic reactions allow life to exist in places with no oxygen or light, an environment that had previously been thought to be devoid of life. The intertidal zone and the photic zone in the oceans are relatively familiar habitats. However the vast bulk of the ocean is unhospitable to air-breathing humans, with scuba divers limited to the upper 50 m (160 ft) or so. The lower limit for photosynthesis is 100 to 200 m (330 to 660 ft) and below that depth the prevailing conditions include total darkness, high pressure, little oxygen (in some places), scarce food resources and extreme cold. This habitat is very challenging to research, and as well as being little studied, it is vast, with 79% of the Earth's biosphere being at depths greater than 1,000 m (3,300 ft). With no plant life, the animals in this zone are either detritivores, reliant on food drifting down from surface layers, or they are predators, feeding on each other. Some organisms are pelagic, swimming or drifting in mid-ocean, while others are benthic, living on or near the seabed. Their growth rates and metabolisms tend to be slow, their eyes may be very large to detect what little illumination there is, or they may be blind and rely on other sensory inputs. A number of deep sea creatures are bioluminescent; this serves a variety of functions including predation, protection and social recognition. In general, the bodies of animals living at great depths are adapted to high pressure environments by having pressure-resistant biomolecules and small organic molecules present in their cells known as piezolytes, which give the proteins the flexibility they need. There are also unsaturated fats in their membranes which prevent them from solidifying at low temperatures. Hydrothermal vents were first discovered in the ocean depths in 1977. They result from seawater becoming heated after seeping through cracks to places where hot magma is close to the seabed. The under-water hot springs may gush forth at temperatures of over 340 °C (640 °F) and support unique communities of organisms in their immediate vicinity. The basis for this teeming life is chemosynthesis, a process by which microbes convert such substances as hydrogen sulfide or ammonia into organic molecules. These bacteria and Archaea are the primary producers in these ecosystems and support a diverse array of life. About 350 species of organism, dominated by molluscs, polychaete worms and crustaceans, had been discovered around hydrothermal vents by the end of the twentieth century, most of them being new to science and endemic to these habitats. Besides providing locomotion opportunities for winged animals and a conduit for the dispersal of pollen grains, spores and seeds, the atmosphere can be considered to be a habitat in its own right. There are metabolically active microbes present that actively reproduce and spend their whole existence airborne, with hundreds of thousands of individual organisms estimated to be present in a cubic meter of air. The airborne microbial community may be as diverse as that found in soil or other terrestrial environments, however these organisms are not evenly distributed, their densities varying spatially with altitude and environmental conditions. Aerobiology has been little studied, but there is evidence of nitrogen fixation in clouds, and less clear evidence of carbon cycling, both facilitated by microbial activity. There are other examples of extreme habitats where specially adapted lifeforms exist; tar pits teeming with microbial life; naturally occurring crude oil pools inhabited by the larvae of the petroleum fly; hot springs where the temperature may be as high as 71 °C (160 °F) and cyanobacteria create microbial mats; cold seeps where the methane and hydrogen sulfide issue from the ocean floor and support microbes and higher animals such as mussels which form symbiotic associations with these anaerobic organisms; salt pans harbour salt-tolerant microorganisms and also Wallemia ichthyophaga, a basidomycotous fungus; ice sheets in Antarctica which support fungi Thelebolus spp., and snowfields on which algae grow. 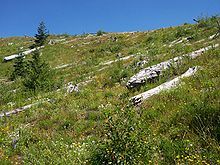 Twenty five years after the devastating eruption at Mount St. Helens, United States, pioneer species have moved in. Whether from natural processes or the activities of man, landscapes and their associated habitats change over time. There are the slow geomorphological changes associated with the geologic processes that cause tectonic uplift and subsidence, and the more rapid changes associated with earthquakes, landslides, storms, flooding, wildfires, coastal erosion, deforestation and changes in land use. Then there are the changes in habitats brought on by alterations in farming practices, tourism, pollution, fragmentation and climate change. Loss of habitat is the single greatest threat to any species. 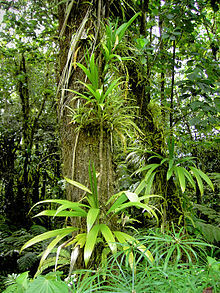 If an island on which an endemic organism lives becomes uninhabitable for some reason, the species will become extinct. Any type of habitat surrounded by a different habitat is in a similar situation to an island. If a forest is divided into parts by logging, with strips of cleared land separating woodland blocks, and the distances between the remaining fragments exceeds the distance an individual animal is able to travel, that species becomes especially vulnerable. Small populations generally lack genetic diversity and may be threatened by increased predation, increased competition, disease and unexpected catastrophe. At the edge of each forest fragment, increased light encourages secondary growth of fast-growing species and old growth trees are more vulnerable to logging as access is improved. The birds that nest in their crevices, the epiphytes that hang from their branches and the invertebrates in the leaf litter are all adversely affected and biodiversity is reduced. Habitat fragmentation can be ameliorated to some extent by the provision of wildlife corridors connecting the fragments. These can be a river, ditch, strip of trees, hedgerow or even an underpass to a highway. Without the corridors, seeds cannot disperse and animals, especially small ones, cannot travel through the hostile territory, putting populations at greater risk of local extinction. Habitat disturbance can have long-lasting effects on the environment. Bromus tectorum is a vigorous grass from Europe which has been introduced to the United States where it has become invasive. It is highly adapted to fire, producing large amounts of flammable detritus and increasing the frequency and intensity of wildfires. In areas where it has become established, it has altered the local fire regimen to such an extant that native plants cannot survive the frequent fires, allowing it to become even more dominant. A marine example is when sea urchin populations "explode" in coastal waters and destroy all the macroalgae present. What was previously a kelp forest becomes an urchin barren that may last for years and this can have a profound effect on the food chain. Removal of the sea urchins, by disease for example, can result in the seaweed returning, with an over-abundance of fast-growing kelp. The protection of habitats is a necessary step in the maintenance of biodiversity because if habitat destruction occurs, the animals and plants reliant on that habitat suffer. Many countries have enacted legislation to protect their wildlife. This may take the form of the setting up of national parks, forest reserves and wildlife reserves, or it may restrict the activities of humans with the objective of benefiting wildlife. The laws may be designed to protect a particular species or group of species, or the legislation may prohibit such activities as the collecting of bird eggs, the hunting of animals or the removal of plants. A general law on the protection of habitats may be more difficult to implement than a site specific requirement. A concept introduced in the United States in 1973 involves protecting the critical habitat of endangered species, and a similar concept has been incorporated into some Australian legislation. International treaties may be necessary for such objectives as the setting up of marine reserves. Another international agreement, the Convention on the Conservation of Migratory Species of Wild Animals, protects animals that migrate across the globe and need protection in more than one country. However, the protection of habitats needs to take into account the needs of the local residents for food, fuel and other resources. Even where legislation protects the environment, a lack of enforcement often prevents effective protection. Faced with food shortage, a farmer is likely to plough up a level patch of ground despite it being the last suitable habitat for an endangered species such as the San Quintin kangaroo rat, and even kill the animal as a pest. In this regard, it is desirable to educate the community on the uniqueness of their flora and fauna and the benefits of ecotourism. A monotypic habitat is one in which a single species of animal or plant is so dominant as to virtually exclude all other species. An example would be a sugarcane plantation; this is planted, burnt and harvested, with herbicides killing weeds and pesticides controlling invertebrates. The monotypic habitat occurs in botanical and zoological contexts, and is a component of conservation biology. In restoration ecology of native plant communities or habitats, some invasive species create monotypic stands that replace and/or prevent other species, especially indigenous ones, from growing there. A dominant colonization can occur from retardant chemicals exuded, nutrient monopolization, or from lack of natural controls such as herbivores or climate, that keep them in balance with their native habitats. The yellow starthistle, Centaurea solstitialis, is a botanical monotypic-habitat example of this, currently dominating over 15,000,000 acres (61,000 km2) in California alone. The non-native freshwater zebra mussel, Dreissena polymorpha, that colonizes areas of the Great Lakes and the Mississippi River watershed, is a zoological monotypic-habitat example; the predators that control it in its home-range in Russia are absent and it proliferates abundantly. Even though its name may seem to imply simplicity as compared with polytypic habitats, the monotypic habitat can be complex. Aquatic habitats, such as exotic Hydrilla beds, support a similarly rich fauna of macroinvertebrates to a more varied habitat, but the creatures present may differ between the two, affecting small fish and other animals higher up the food chain. ^ "Habitat". Dictionary.com. Retrieved 16 May 2016. ^ "Habitat". Merriam-Webster Dictionary. Retrieved 4 June 2016. ^ "Biotope". Oxford Dictionaries. Retrieved 4 June 2016. ^ Everyman's Encyclopedia; Volume 4. J.M. Dent. 1967. p. 581. ASIN B0015GRC04. ^ Richards, O.W. (1940). "The biology of the small white butterfly (Pieris rapae), with special reference to the factors controlling its abundance". Journal of Animal Ecology. 9 (2): 243–288. doi:10.2307/1459. JSTOR 1459. ^ Spitzer, L.; Benes, J.; Dandova, J.; Jaskova, V.; Konvicka, M. (2009). "The Large Blue butterfly ("Phengaris [Maculinea] arion"), as a conservation umbrella on a landscape scale: The case of the Czech Carpathians". Ecological Indicators. 9 (6): 1056–1063. doi:10.1016/j.ecolind.2008.12.006. ^ Sutherland, William J.; Hill, David A. (1995). Managing Habitats for Conservation. Cambridge University Press. p. 6. ISBN 978-0-521-44776-8. ^ Richard J. Huggett (2004). Fundamentals of Biogeography. Psychology Press. p. 146. ISBN 978-0-415-32347-5. ^ "Invasive species". National Wildlife Federation. Retrieved 24 May 2016. ^ Breed, Michael D.; Moore, Janice (2011). Animal Behavior. Academic Press. p. 248. ISBN 978-0-08-091992-8. ^ a b "Habitats". BBC Nature. Retrieved 24 May 2016. ^ Cook, C.D.K. ; Gut, B.J. ; Rix, E.M.; Schneller, J. (1974). Water Plants of the World: A Manual for the Identification of the Genera of Freshwater Macrophytes. Springer Science & Business Media. p. 7. ISBN 978-90-6193-024-2. ^ Roff, John (2013). Marine Conservation Ecology. Routledge. p. 105. ISBN 978-1-136-53838-4. ^ "Couch's spadefoot (Scaphiopus couchi)". Arizona–Sonora Desert Museum. Retrieved 16 May 2016. ^ Witham, Carol W. (1998). Ecology, Conservation, and Management of Vernal Pool Ecosystems. California Native Plant Society. p. 1. ISBN 978-0-943460-37-6. ^ Green, Scott. "Fairy shrimp". The Vernal Pool Association. Archived from the original on 23 April 2016. Retrieved 17 May 2016. ^ Walker, Matt (21 May 2015). "The most extreme fish on Earth". BBC Earth. Retrieved 17 May 2016. ^ Read, Nicholas (2012). City Critters: Wildlife in the Urban Jungle. Orca Book Publishers. p. 2. ISBN 978-1-55469-394-8. ^ John G. Kelcey, John G. (2015). Vertebrates and Invertebrates of European Cities:Selected Non-Avian Fauna. Springer. p. 124. ISBN 978-1-4939-1698-6. ^ Abe, Y.; Bignell, David Edward; Higashi, T. (2014). Termites: Evolution, Sociality, Symbioses, Ecology. Springer. p. 437. ISBN 978-94-017-3223-9. ^ "Microhabitats". Australian National Botanic Gardens, Centre for Australian National Biodiversity Research (An Australian Government Initiative). Government of the Commonwealth of Australia. Retrieved 18 May 2016. ^ a b "Woodlands & Biodiversity". Offwell Woodland & Wildlife Trust. Retrieved 18 May 2016. ^ Lewis, E.E. ; Campbell, J.F. ; Sukhdeo, M.V.K. (2002). The Behavioural Ecology of Parasites. CABI. p. 183. ISBN 978-0-85199-754-4. ^ Pung, Oscar J.; Burger, Ashley R.; Walker, Michael F.; Barfield, Whitney L.; Lancaster, Micah H.; Jarrous, Christina E. (2009). "In vitro cultivation of Microphallus turgidus (Trematoda: Microphallidae) from metacercaria to ovigerous adult with continuation of the life cycle in the laboratory". Journal of Parasitology. 95 (4): 913–919. doi:10.1645/ge-1970.1. JSTOR 27735680. ^ Gorman, James (6 February 2013). "Bacteria Found Deep Under Antarctic Ice, Scientists Say". New York Times. Retrieved 18 May 2016. ^ Choi, Charles Q. (17 March 2013). "Microbes Thrive in Deepest Spot on Earth". LiveScience. Retrieved 18 May 2016. ^ Oskin, Becky (14 March 2013). "Intraterrestrials: Life Thrives in Ocean Floor". LiveScience. Retrieved 18 May 2016. ^ Schultz, Steven (13 December 1999). "Two miles underground". Princeton Weekly Bulletin. Archived from the original on 13 January 2016. ^ Chang, Kenneth (12 September 2016). "Visions of Life on Mars in Earth's Depths". New York Times. Retrieved 12 September 2016. ^ Cole, Bob (March 2008). "Appendix 6". The SAA BUhlmann DeeP-Stop System Handbook. Sub-Aqua Association. pp. vi–1. ISBN 978-0-9532904-8-2. ^ a b "The Deep Sea". MarineBio Conservation Society. 29 December 2011. Retrieved 19 May 2016. ^ "What does it take to live at the bottom of the ocean?". BBC Earth. 2016. Retrieved 19 May 2016. ^ a b "A hydrothermal vent forms when seawater meets hot magma". Ocean facts. National Ocean Service. 11 January 2013. Retrieved 20 May 2016. ^ "Hydrothermal Vent Creatures". Ocean Portal. Smithsonian National Museum of Natural History. Retrieved 20 May 2016. ^ Desbruyères, Daniel; Segonzac, Michel (1997). Handbook of Deep-sea Hydrothermal Vent Fauna. Editions Quae. p. 9. ISBN 978-2-905434-78-4. ^ Womack, Ann M.; Bohannan, Brendan J.M. ; Green, Jessica L. (2010). "Biodiversity and biogeography of the atmosphere". Philosophical Transactions of the Royal Society B. 365 (1558): 3645–3653. doi:10.1098/rstb.2010.0283. PMC 2982008. PMID 20980313. ^ "Petroleum fly". Grzimek's Animal Life Encyclopedia. Volume 3: Insects (2nd ed.). The Gale Group. 2004. p. 367. ISBN 978-0-7876-5779-6. ^ McGregor, G.B. ; Rasmussen, J.P. (2008). "Cyanobacterial composition of microbial mats from an Australian thermal spring: a polyphasic evaluation". FEMS Microbiology Ecology. 63 (1): 23–35. doi:10.1111/j.1574-6941.2007.00405.x. PMID 18081588. ^ Hsing, Pen-Yuan (18 October 2010). "Gas-powered Circle of Life: Succession in a Deep-sea Ecosystem". Lophelia II 2010. NOAA. Retrieved 22 May 2016. ^ a b Gostincar, C.; Grube, M.; De Hoog, S.; Zalar, P.; Gunde-Cimerman, N. (2010). "Extremotolerance in fungi: Evolution on the edge". FEMS Microbiology Ecology. 71 (1): 2–11. doi:10.1111/j.1574-6941.2009.00794.x. PMID 19878320. ^ Takeuchi, Nozomu (2014). "Snow algae on Alaskan glaciers". Retrieved 22 May 2016. ^ Lindenmayer, David B.; Fischer, Joern (2013). Habitat Fragmentation and Landscape Change: An Ecological and Conservation Synthesis. Island Press. pp. 1–10. ISBN 978-1-59726-606-2. ^ a b c Miller, G. Tyler; Spoolman, Scott (2008). Living in the Environment: Principles, Connections, and Solutions. Cengage Learning. pp. 193–195. ISBN 978-0-495-55671-8. ^ Holland, Matthew D.; Hastings, Alan (2008). "Strong effect of dispersal network structure on ecological dynamics". Nature. 456 (7223): 792–794. Bibcode:2008Natur.456..792H. doi:10.1038/nature07395. ^ Brooks, M.L. ; D'Antonio, C.M. ; Richardson, D.M. ; Grace, J.B.; Keeley, J.E. ; DiTomaso, J.M. ; Hobbs, R.J.; Pellant, M.; Pyke, D. (2004). "Effects of invasive alien plants on fire". BioScience. 54 (7): 677–688. doi:10.1641/0006-3568(2004)054[0677:EOIAPO]2.0.CO;2. ^ Lawrence, John M. (2013). Sea Urchins: Biology and Ecology. Academic Press. pp. 196–202. ISBN 978-0-12-397213-2. ^ de Klemm, Cyrille (1997). Comparative Analysis of the Effectiveness of Legislation for the Protection of Wild Flora in Europe. Council of Europe. pp. 65–70. ISBN 978-92-871-3429-5. ^ "Convention on the Conservation of Migratory Species of Wild Animals". UNEP/CMS Secretariat. Retrieved 7 July 2016. ^ Endangered Wildlife and Plants of the World. Marshall Cavendish. 2001. p. 750. ISBN 978-0-7614-7200-1. ^ Honey, Martha (2008). Ecotourism and Sustainable Development: Who Owns Paradise?. Island Press. p. 33. ISBN 978-1-59726-125-8. ^ Rio Guanajibo River Basin Flood Protection Project, Mayaguez, Hormigueros, San German: Environmental Impact Statement. 1994. p. 94. ^ "1970 distribution of yellow starthistle in the U.S." Yellow Starthistle Information. UCD. Archived from the original on 2006-12-31. ^ "Invasive Mussels". National Wildlife Federation. Retrieved 29 June 2016. ^ Theel, Heather J.; Dibble, Eric D.; Madsen, John D. (2008). "Differential influence of a monotypic and diverse native aquatic plant bed on a macroinvertebrate assemblage; an experimental implication of exotic plant induced habitat". Hydrobiologia. 600: 77–87. doi:10.1007/s10750-007-9177-z. Wikisource has the text of the 1911 Encyclopædia Britannica article habitat.